PACThub uses third-party services to validate your identity. Select a service to sign in. Not sure which service to use? Read the FAQ for more information or submit a Support request to get help. 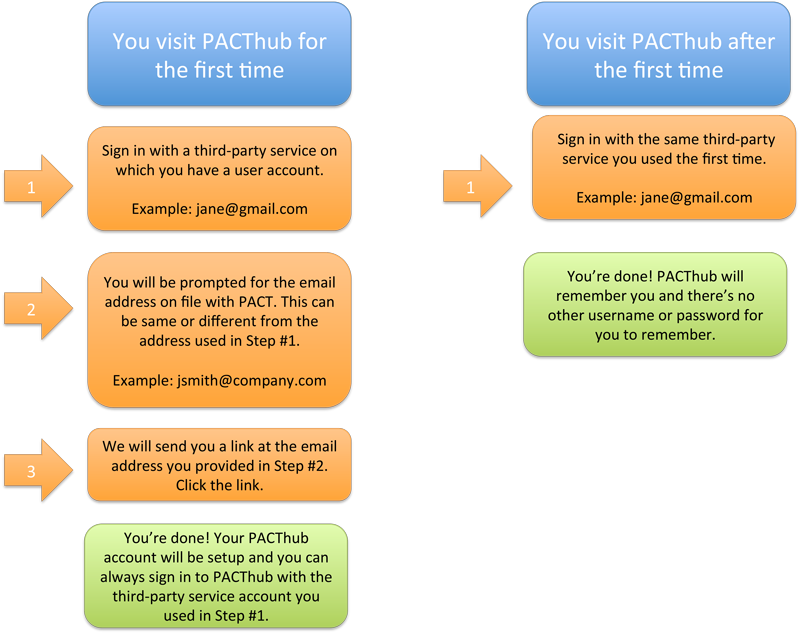 The diagram below illustrates the PACThub sign in process. 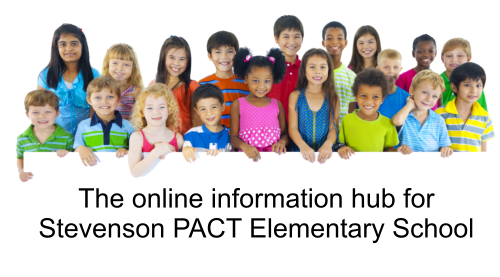 PACThub is the online information hub for PACT Stevenson Elementary School. It consists of a primary website and several secondary websites that provide essential content and services for the PACT community. In order to sign in, you need a user account with one of the third-party services displayed above. Once you select the service of your choice, you will be prompted to sign in on that service. If your sign in is successful the service validates your identity and you get signed in to PACThub. What account do I use to signin? You can use an account with any of the services we support for sign in. If you don't already have an account with one of these services, you will have to create one. Regardless of the account you sign in with, your PACT email communications will remain at the email address on file with the school. Does the account I sign in with need to have the same email address as the one I have on file with the school? No. The account you use for sign in can be the same or different from the email address on file with the school. When I log in to Google it says I am sharing my data. How is that data used? PACThub only needs your email address. The first time you log in we will send a verification email to your address if it's in the directory. The next time you log in PACThub only needs to verify that it's the same Google account being used as the first time. No personal information is used or API queries to Google are made from PACThub. I am still unsure. Can I get some help? Sure. Click Support at the top of the page and let us know how we can help you.